This 10-day Disease and Disorder seminar is an in-depth journey of learning from an intuitive perspective why the body creates dis-ease. 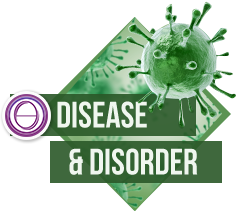 Be taught an in-depth understanding of disease from an intuitive perspective. Discover the hidden belief systems they have towards disease that may be impeding their abilities to heal illness in others and themselves. It is still what we believe inside that makes the difference. Learn how feelings, emotions, beliefs and programs influence how we behave and have dramatic effects on the body’s wellbeing even on a cellular level. Learn the programs, belief systems, and intuitive insights that Vianna has found to be of value as they pertain to certain diseases and disorders. Tuition includes the Disease and Disorder Manual and a certificate upon completion.